Roughly the same view in January 2014. The bridge is in the same place. Photo by Jason Brice. Click image to enlarge. Powerhouse 2 employee housing at Stator Lane, known by workers as Camp 2. Looking west. Date unknown; possibly as late as the 1950s. 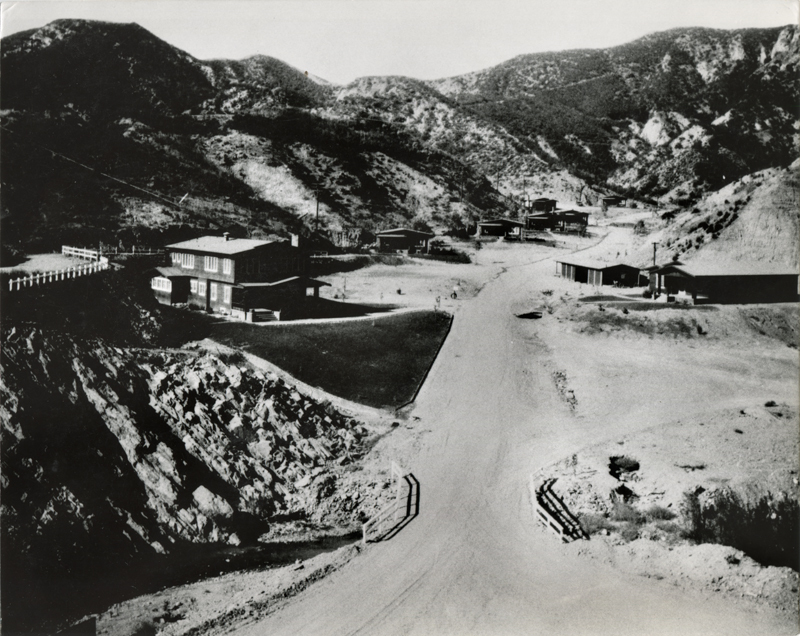 The original housing was wiped out in the March 1928 St. Francis Dam Disaster. 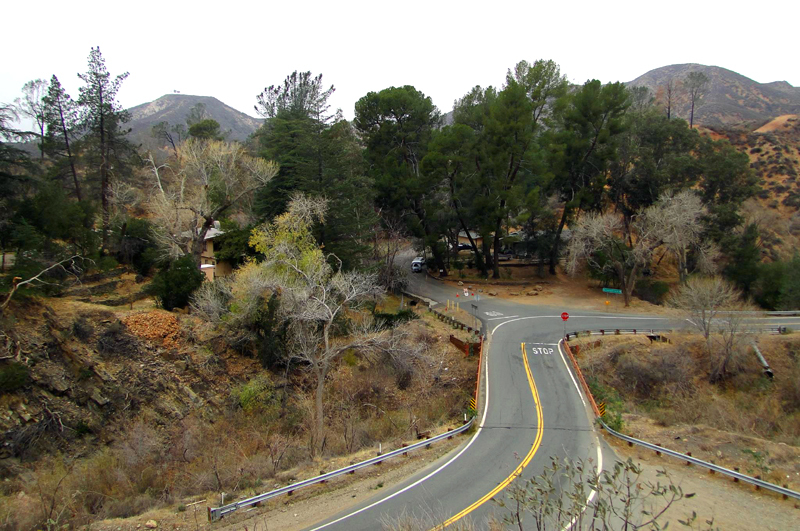 San Francisquito Canyon Road curves around from lower left to middle-right and proceeds north up the canyon. Today (2014) there's a stop sign just past the bridge. FR3001: 19200 dpi jpeg from 8x10 copy print.